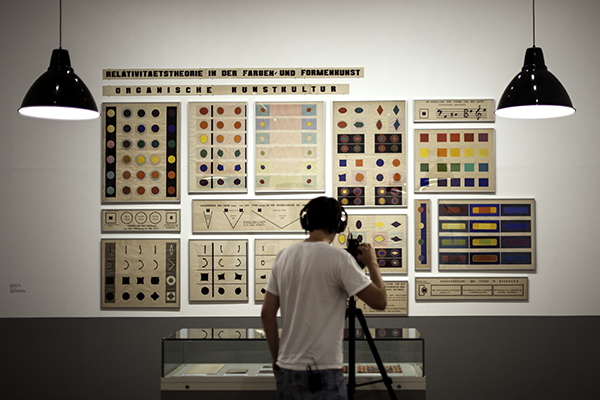 The chronological setup of the retrospective positions Malevich’s work in a direct social and political context of the late 19th and the early 20th century Russia. And what an exciting period indeed! 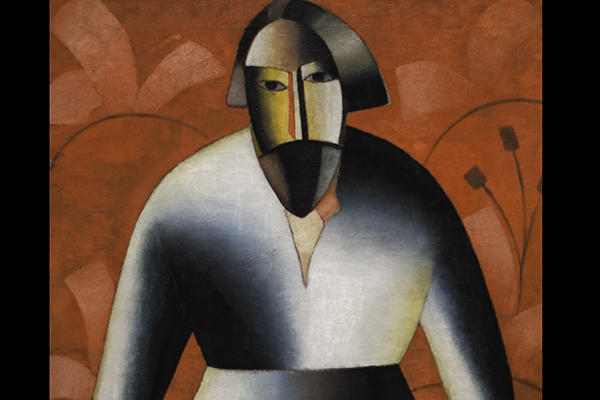 Born under the Tsar’s regime, Malevich started his artistic career – heavily influenced by Italian futurism and French cubism – at the outset of the WWI. 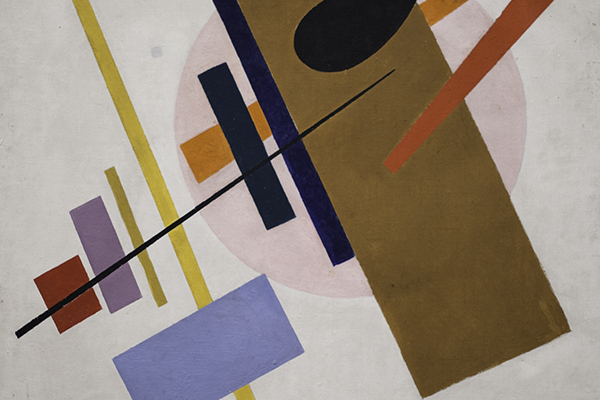 His proclamation of radical Suprematism movement came just before the October Revolution in 1917, a unsettling time soon to be followed by the Civil War in 1919. 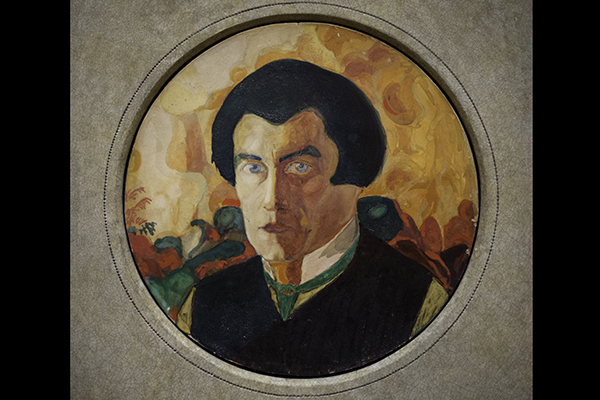 During this period Malevich worked as a teacher in Vitebsk and formed an artistic collective UNOVIS. 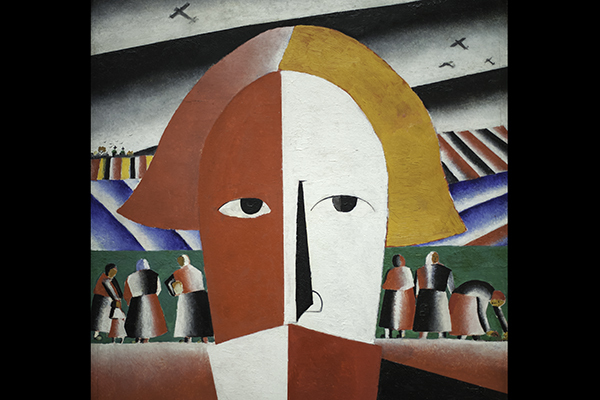 In 1924, after Lenin’s death and with Stalin in power, Russia witnesses not only forced collectivisation and wide-spread famine, but also a growing persecution of the artistic avant-garde. Socialist Realism is soon to be established as the sole style of the new USSR. 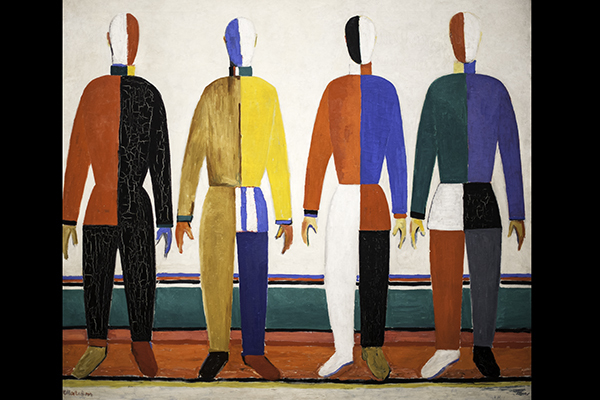 Malevich answers with new figurative paintings that nevertheless clearly retain the marks of abstraction. His final works, figurative in style, are signed with a black square symbol. 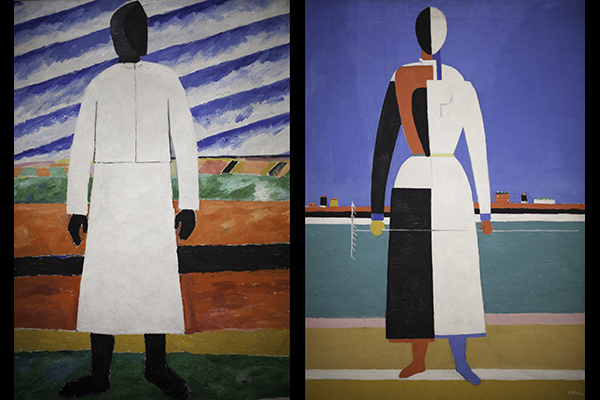 Malevich’s Suprematist period is represented in the show by several surviving paintings from The last Futurist Exhibition of Paintings 0.10, a legendary show held in Petrograd in 1915. 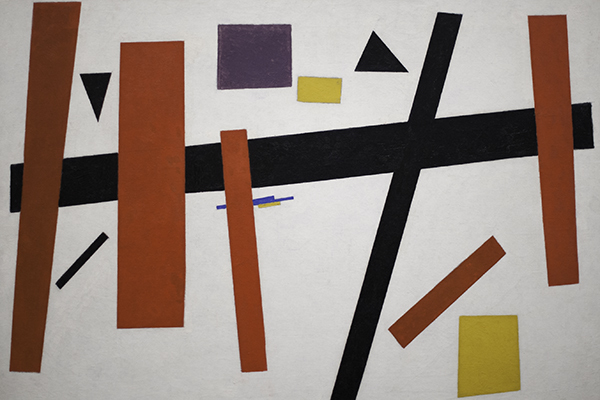 There’s also a large number of his famous geometric compositions and series of white canvases and architectons that marked “the end of a painting” era. Definitely worth a closer look is a room dedicated solely to the artist’s works on paper, which span Malevich’s entire career. 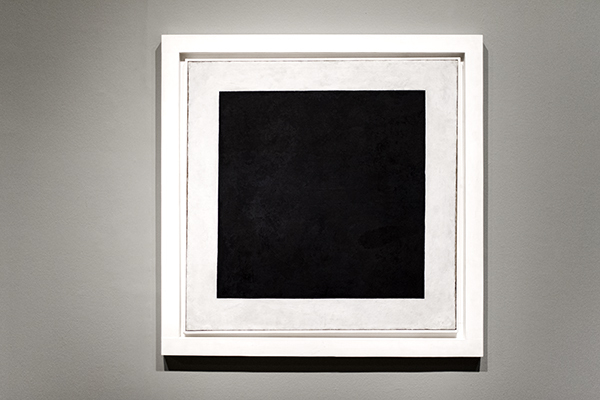 No doubt ‘though that the biggest crowd magnets will be 2 versions of the Black Square (from 1923 and 1929 – the original 1915 one being too fragile to travel from Moscow) – Malevich’s signature piece and one of the most radical statements in art history. Quite a treat to stand right in front of it! 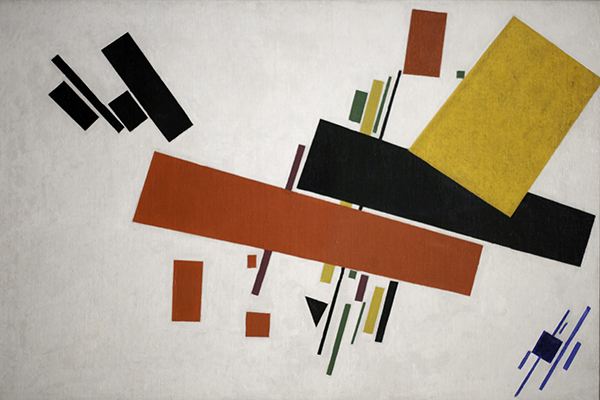 Malevich is curated by Achim Borchardt-Hume. The show opens today at Tate Modern and will be on display till 26 October 2014.